LamaLo Technology has conducted successful powering measurements and assessments on many different classes vessels with a variety of powering performance characteristics. These include: USCG FRCB Class, USS Freedom (LCS-1) Class, Fast Missile Craft (FMC) Class, Car Carriers, Tankers, Container Vessels, Ferries, ATB-Tugs, Swath Vessels, Icebreakers and Research Vessels. ​ Shaft torque is measured using strain gauges in a full bridge configuration mounted directly to the propulsion shaft. The strain gauge signals are conditioned and transmitted to a stationary receiver using modern digital telemetry systems. 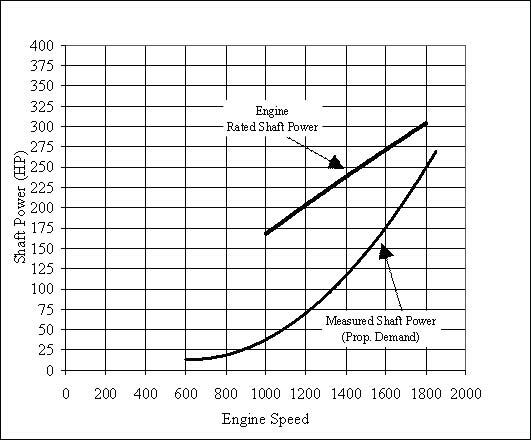 Shaft RPM is measured by use of proximity probes directed towards the shaft. Ship speed is measured from GPS on-board or from a separate unit. A 16 bit high speed analog to digital converter is used to sample the data. A lap top computer connected to the analog to digital converter with an advanced software package is used for the data acquisition system. ​ Data is recorded and stored continuously throughout the trials. Measurements are displayed in near-real time on lap top computer, so an assessment of the shaft power can be made throughout the trials. This includes time domain strip charts of the shaft torque and a display of the average torque, RPM and power over the last 5 to 10 seconds. Ship Speed vs Total Shaft Power plots can be provided and assessed on-site shortly after measurements are taken. Measurements are digitized at a rates high enough to measure shafting vibrations, typically at rates of 500 to 2000 samples per second. British Columbia Ferry Services operate over 35 vessels at 47 ports of call along the coast of British Columbia, Canada. LLT has worked on over 14 of these vessels. These vessels have unique operational profiles that are very demanding on the propulsion machinery. Up to 30 dockings a day are conducted, in confined waters with significant wind and tides. Each route/vessel has a specific propulsion powering and shaft torque requirement. To assist in defining the ship specific power and torque requirements for upgrades to the propulsion machinery, propulsion shaft torque (mean and dynamic) measurements were conducted. Measurements were taken throughout the operational profile, including transit, docking, accelerations, turning, crash stop, and speed power tests. Ship specific power and torque requirements were determined and provided to the owner as specifications for the new engines. Using the results of the measurement report the main engines and propellers were replaced on the MV Klitsa in 2002 (View Paper – pdf file). The vessel service speed increased which enabled it to maintain its schedule for the first time, and the fuel consumption dropped by about 10%. Results of MV Klitsa work were presented at the October 2003 meeting of the Canadian Institute of Marine Engineers, Vancouver, British Columbia, Canada.